Family Nights are welcoming America’s favorite fat cat, Garfield, with coloring activities for children. 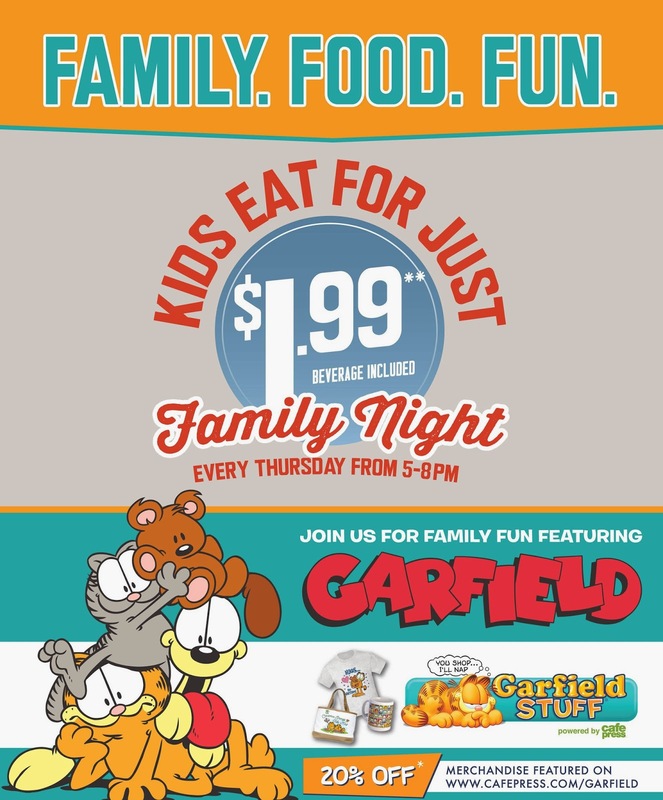 Kids dining at participating restaurants will receive one of three different Garfield & Friends Finger Puppet Perf & Play activities for free any Thursday evening from 5 p.m. - 8 p.m. during the promotion period. I received a gift card in exchange for a post.